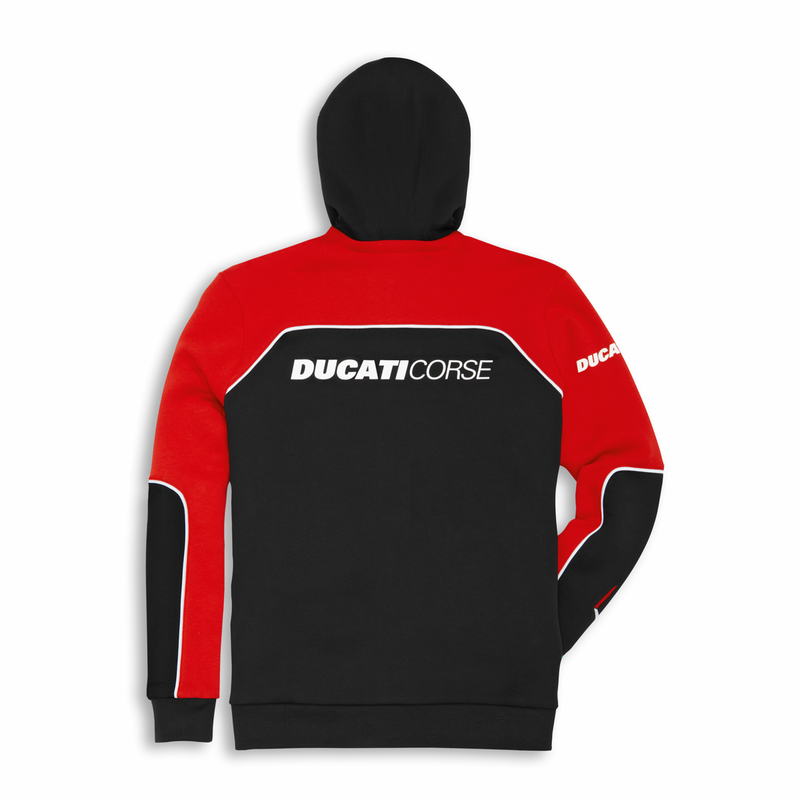 This hooded sweatshirt with full zip is an iconic must-have in the Ducati Corse line. 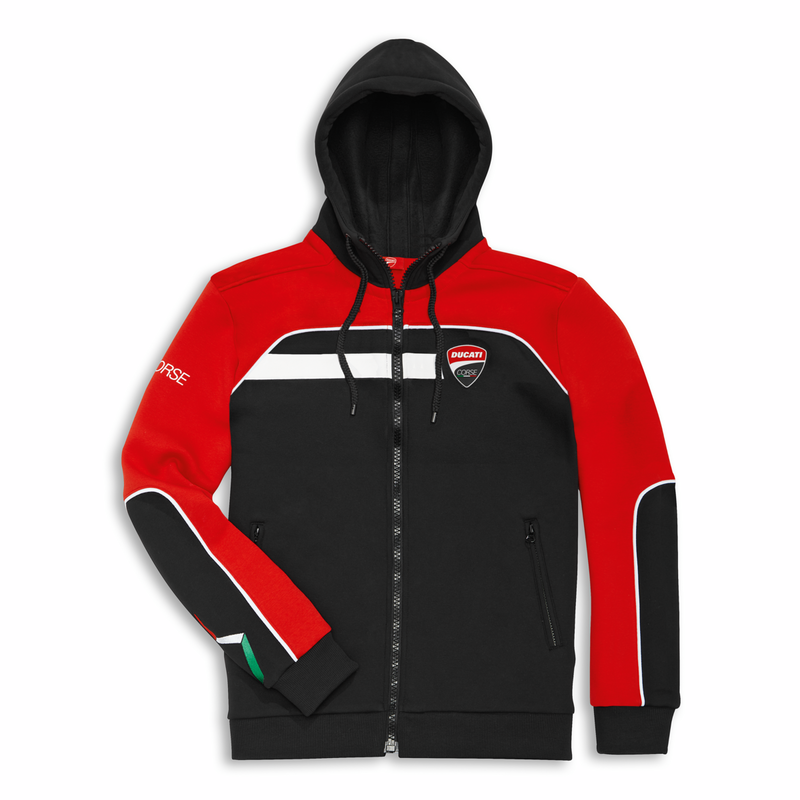 Created in 100% cotton and in the traditional colours of red, black and white, which are alternated to give the garment its sports soul. The tricolour detail embroidered on the sleeve, contrasting white piping on the chest and personalised plastisol prints further enhance the sweatshirt. 100% racing!